You’ve heard the saying, life gives you lemons-make lemonade, or something like that. 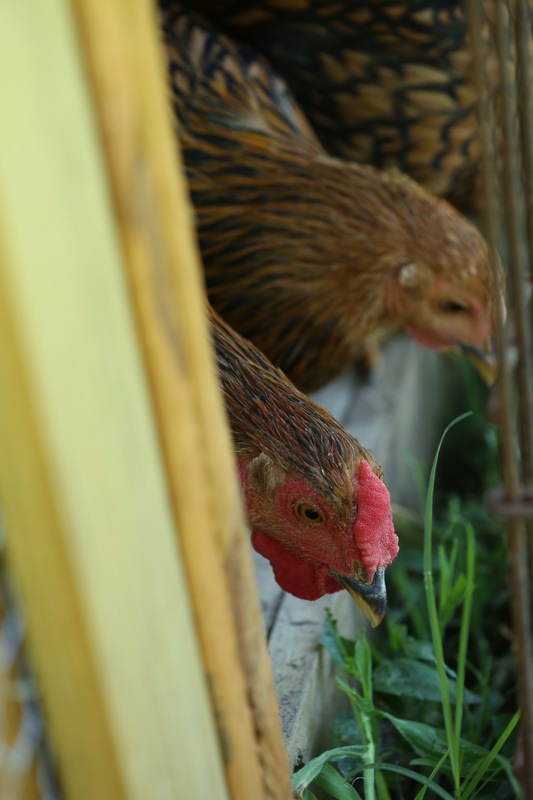 So we purchased six pullets, and when one turns out to be a rooster, you look for ways to make that lemonade thing work. 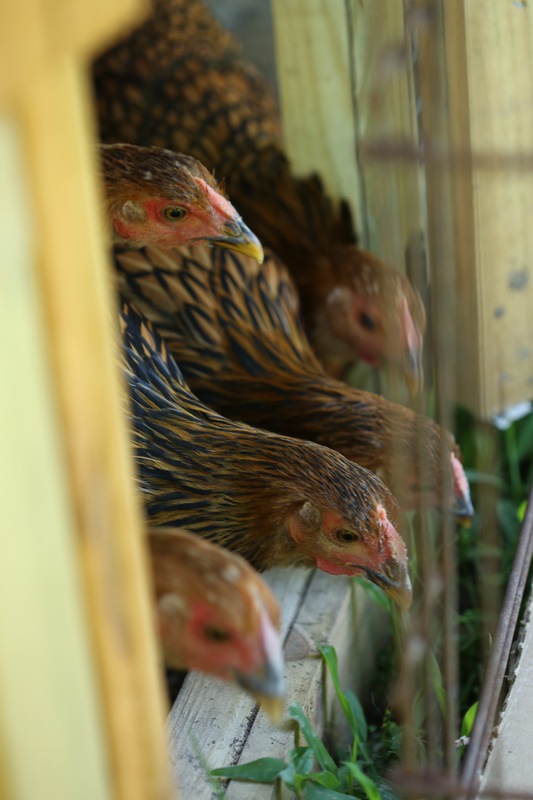 And if you have looked closely at the photo above, you wonder just what I am talking about because that is obviously a photo of five hens and you are correct. Number 6, the rooster, is not in that photo, he is in the one below and a quick glance makes it pretty obvious. No question which one he is. The hatchery guarantees an 85% accuracy rate on sexing them as they hatch. One in six, about 85% accurate. He had to go, especially since he had learned to crow. 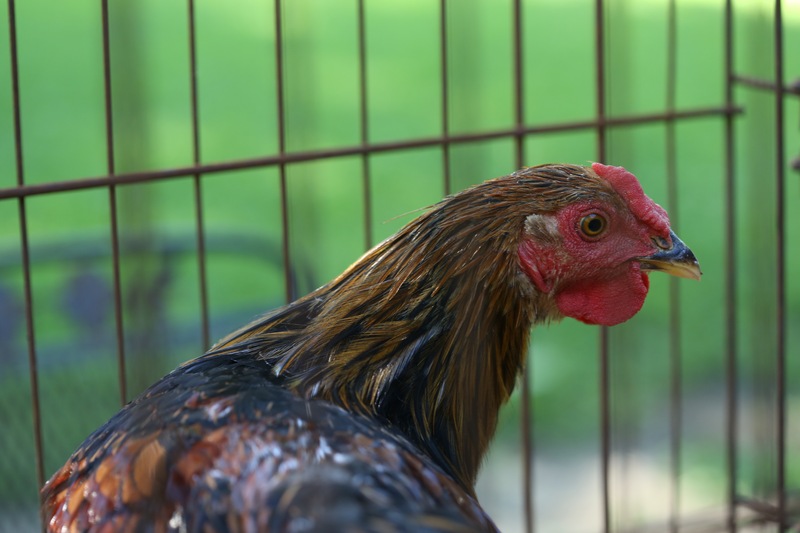 Last time we saw him, he was tucked under the arm of a nice older gentleman who had a large farm and a collection of roosters like ours that needed a new home because city folk cannot have roosters. He is surely enjoying the farm and his ability to free range the cotton fields. 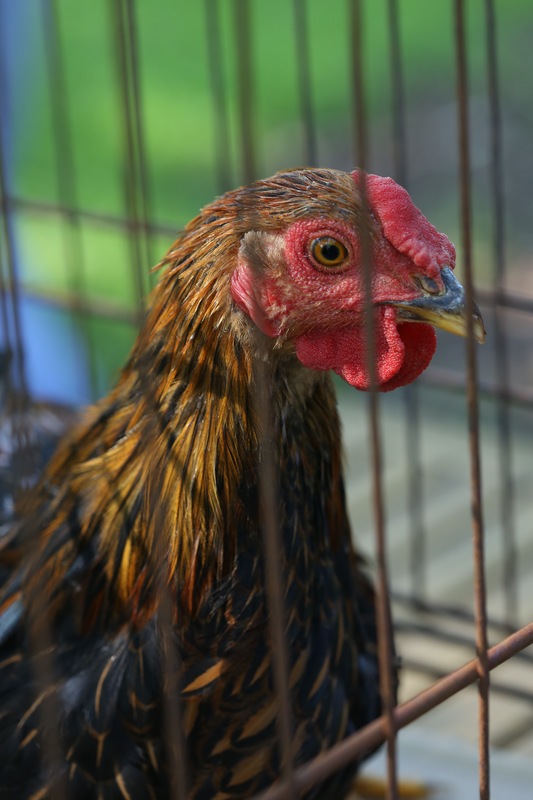 It took us several tries and a few near misses to lure him into the cage for the long ride. He almost seemed to know that the jig was up. For a 14 week old bird, he was pretty and I am a little disappointed that I will not see him with all of his adult feathers. 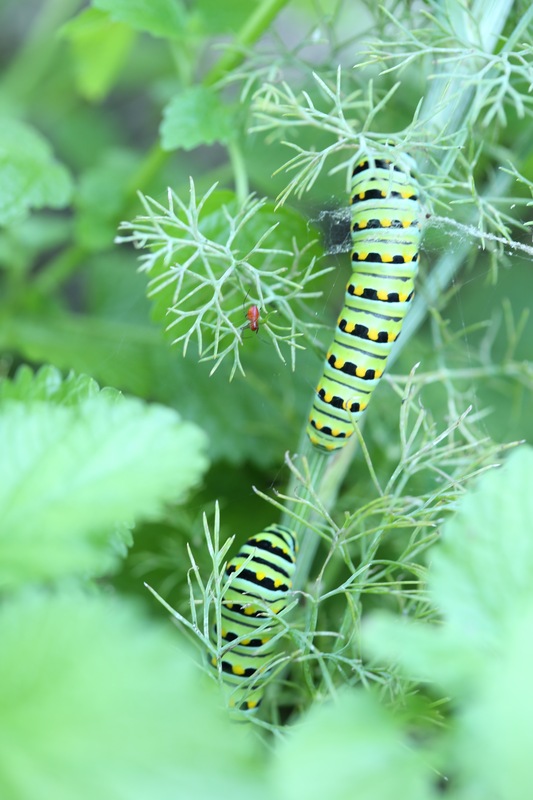 The garden in mid summer is teeming with surprises. 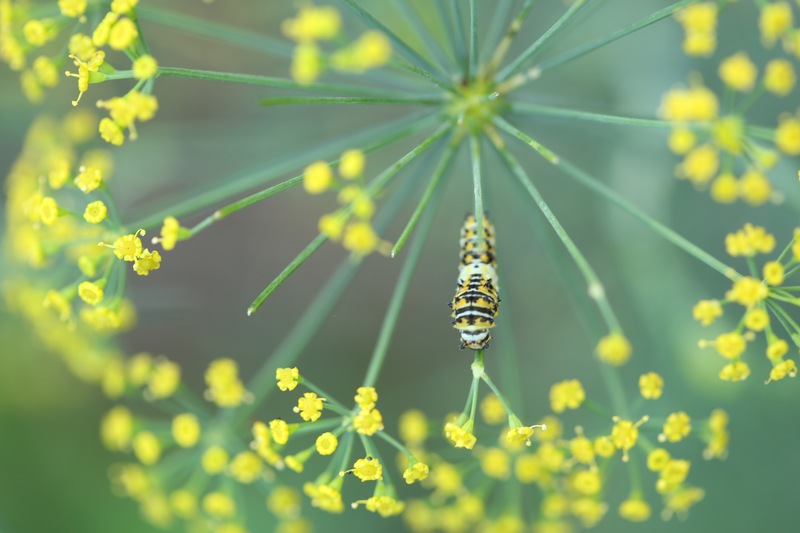 Finding these little guys on my dill plant was exciting because we were hoping for some caterpillars. Although, they did eat most of the leaves and my dreams of homemade salad dressing were shelved until the next time I have a plant with leaves. 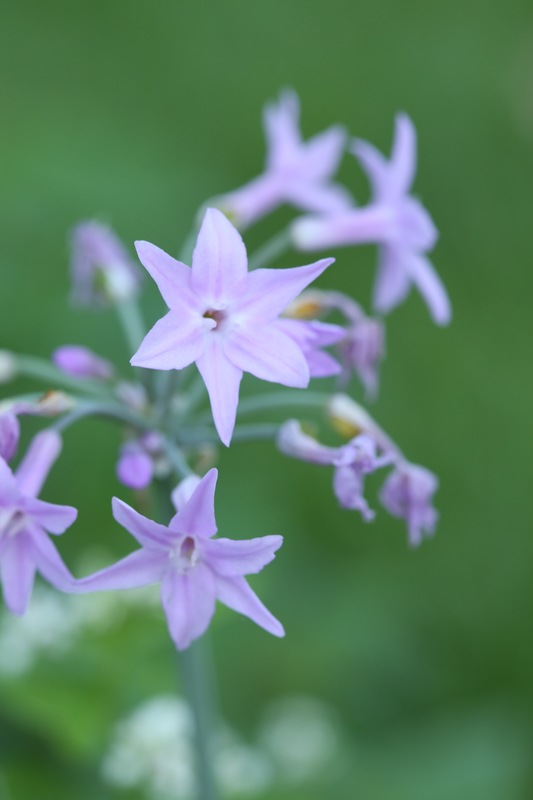 Society garlic is an ornamental plant and if it has flowers like this, it is welcome in my herb garden. 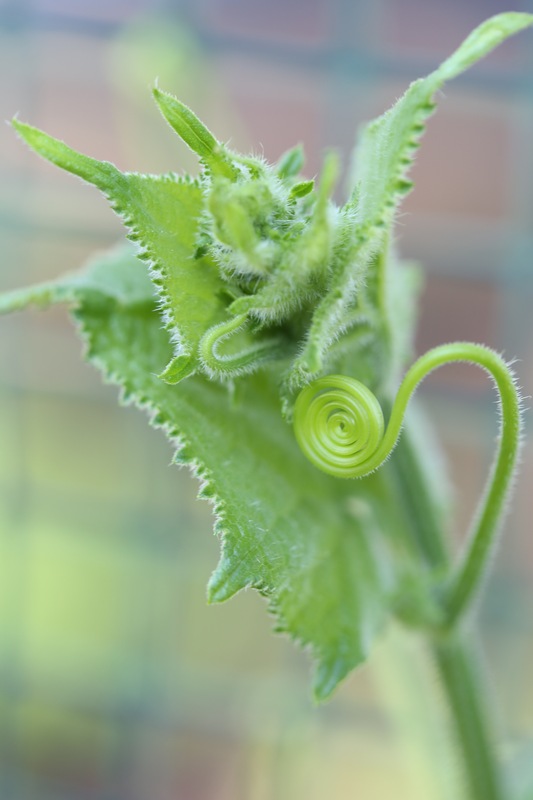 We have a lot of cucumber vines, not so many cukes but plenty of vines and on a stroll past one morning, I noticed a bumble bee tangled in the vines. 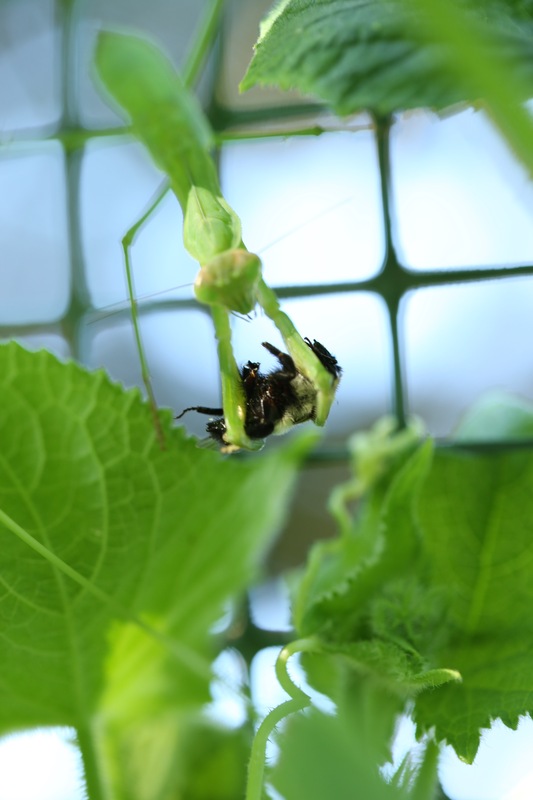 Except that it wasn’t tangled in a vine, he was caught in the arms of a praying mantis and apparently, his breakfast. 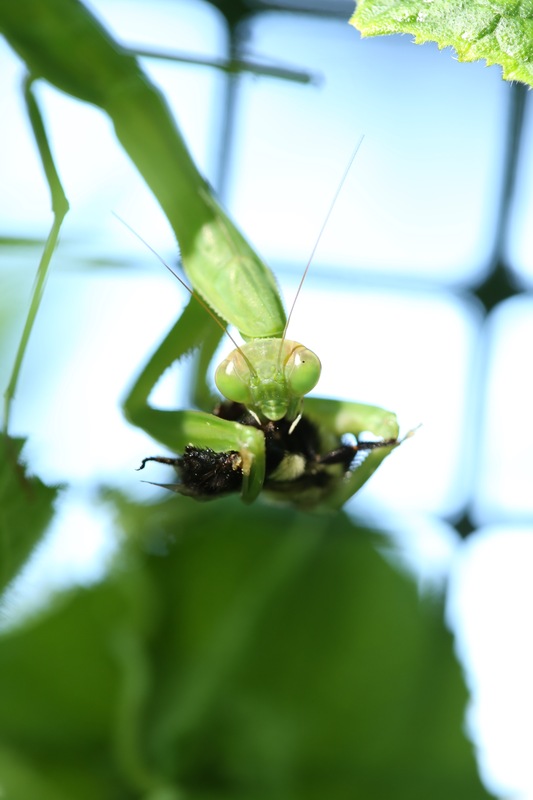 Such is the life in a garden and for all of you who did not know, a praying mantis will eat bugs of all kinds, good or bad which means that sometimes, the good bugs get eaten. Summer is salad season and in my garden, I have few greens to pick. 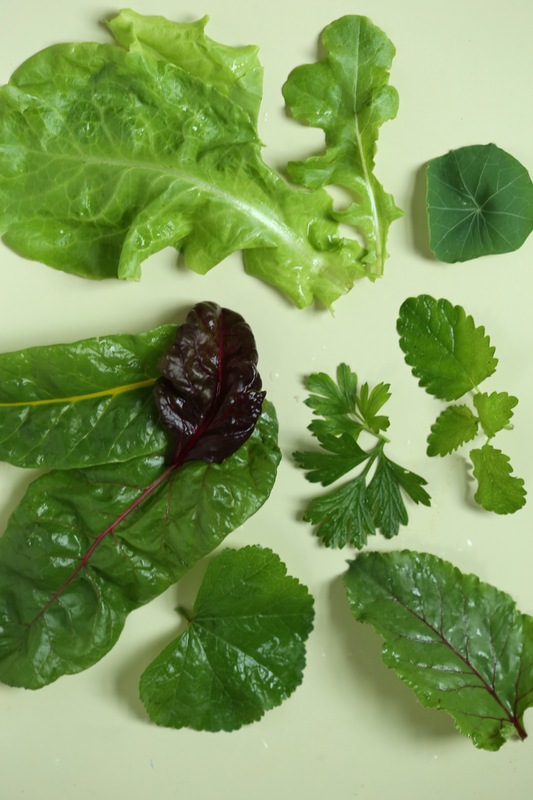 From the top left, going clockwise; leaf lettuce, nasturtium leaf, lemon balm, parsley, beet greens, mallow-chima(an asian green) and colorful swiss chard.